Princess Cheryl's thought of the day:- Lazy weekend. StarWalk tomorrow but I'm not going since need a little more rest for my toes. 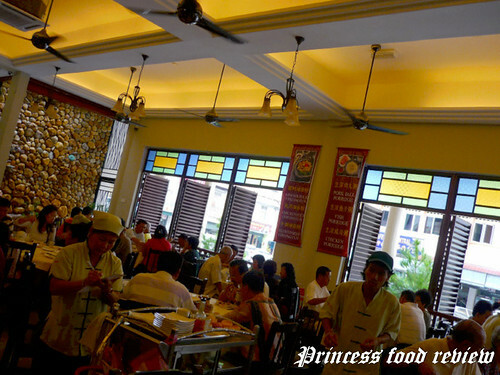 What is Ipoh's famous food? 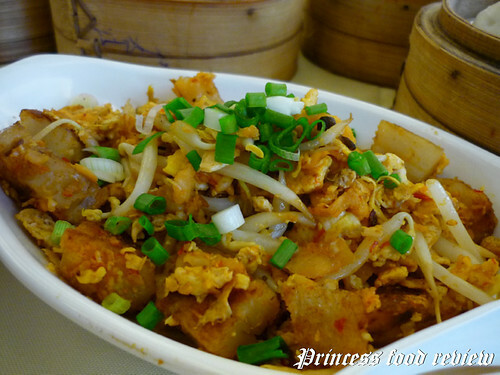 First thing that comes to your mind will be beansprout chicken (芽菜鸡), then secondly Foh San dim sum (富山点心). Right? 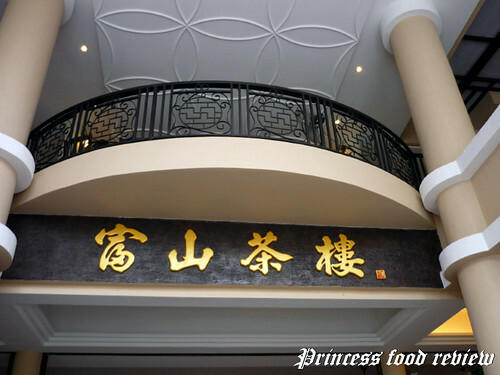 So today I'm gonna post the food review on Foh San Dim Sum which had expanded their business recently and had moved to a new shop in the town. This area seems to have gathered most of the delicious and recommended dim sum shops and now it's referred as the "dim sum street" by the locals. 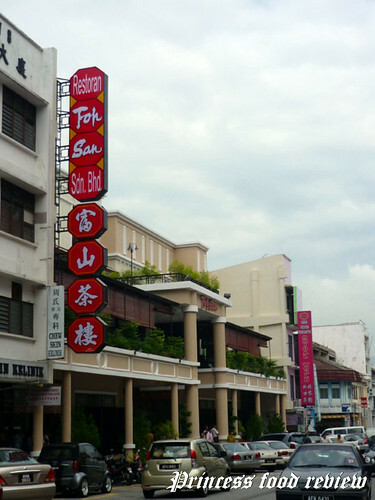 The biggest dim sum shop in the street is of course Foh San. 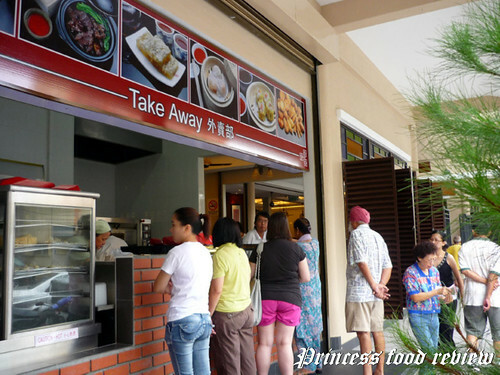 They have even a "Take Away" department. Departmental dim sum house. =p This is good for lazybones like me who usually sleep until 11am in the weekends. Nice interior. Grand feeling. And same as the price. Staircase up to the next floor. 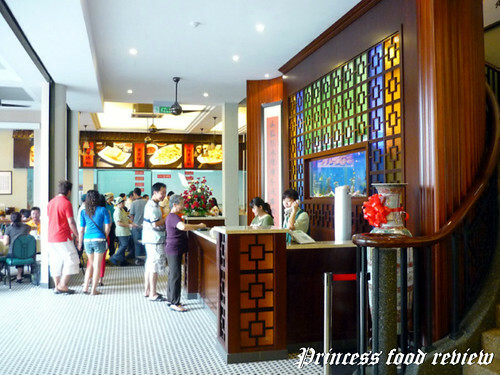 Famous food outlets are usually full most of the time. No exception for this one. 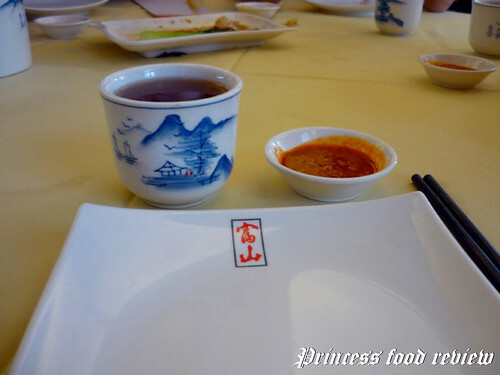 Table setting for eating Chinese dim sum (info for the foreigners). First they serve the tea. 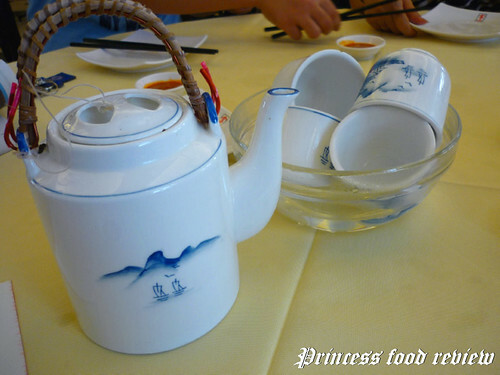 The waiter/waitress will ask you to choose from the menu what type of Chinese tea you want. And the tea cups are soaked in hot water for strerilization purpose. Each person gets a small plate, a pair of chopstick and chili sauce. 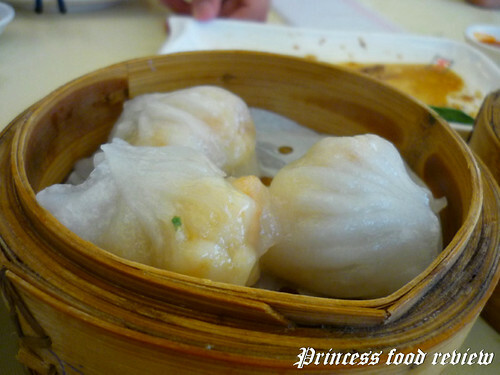 Dim sum has a large variety. Each plate is usually meant for sharing among 2 or 3 people. 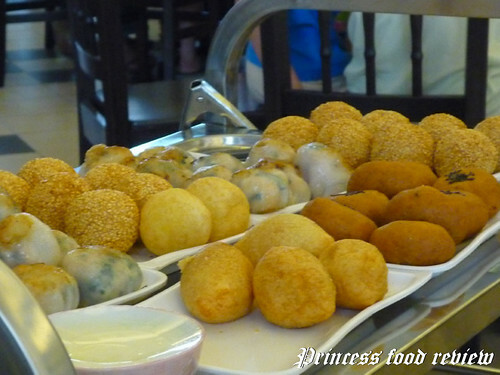 That's why you can order up to 10 types of dim sum. That's great isn't it. 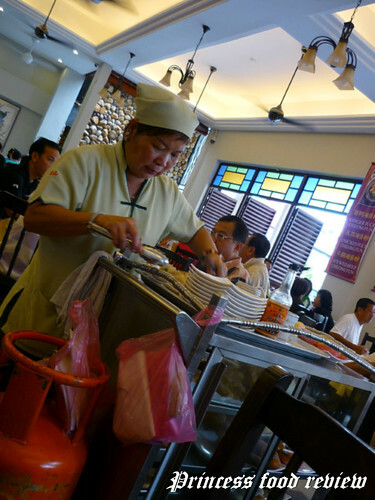 The waitress will push the dim sum cart around for customers to choose. 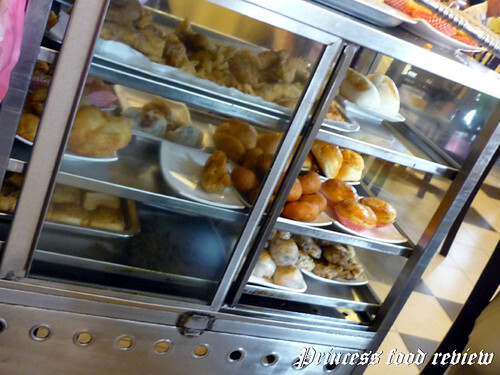 Different dim sum cart serves different types of dim sum. 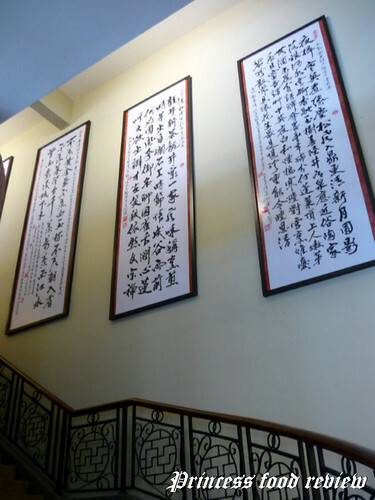 Some are steamed, some are fried, some serves only dumplings (pao), while some are special dishes of the day. 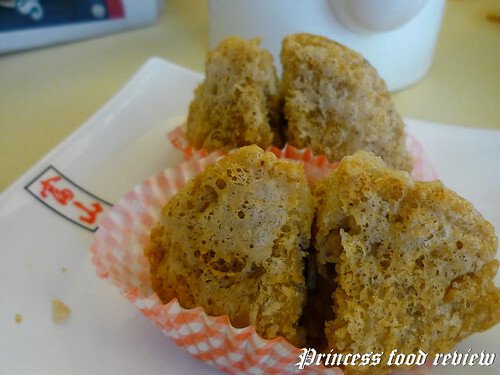 For example, this one serves fried dim sum. Now showing the food we ordered. 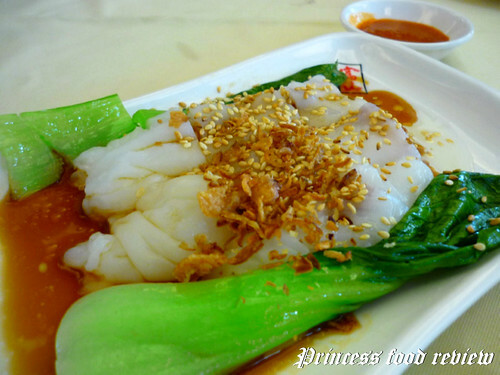 Chee-cheong-fun. 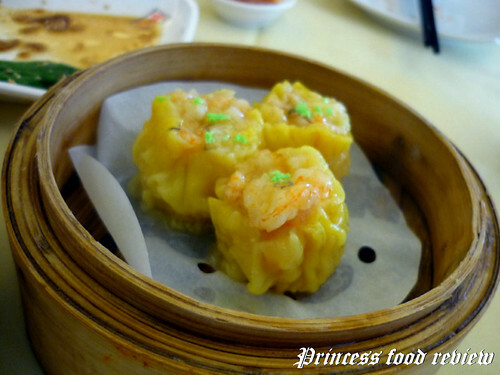 Prawn Siew-mai (basic type of dim sum which I like the most). Forgot what is this called. 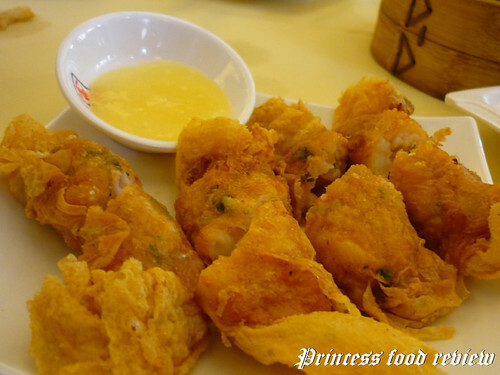 While these are deep fried with different sweet fillings. One thing I don't quite like about this place is there are too many customers and the serving is slow. FURTHERMORE THE FOOD ARE NOT HOT ENOUGH WHEN SERVED. Another thing if you see from the photo, it's not that hygienic if you keep your food at the lower tier of the cart so near to the floor without any cover!! You know how easily dust can fly and stick on the food. 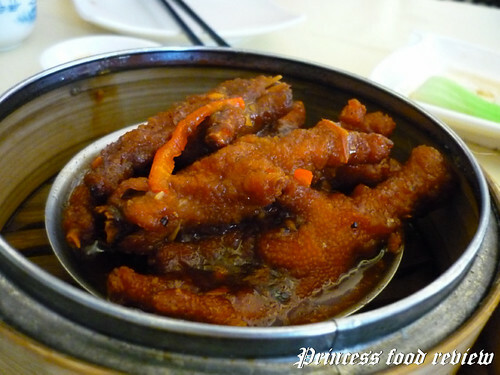 If you ask me how nice is the dim sum, I rate them B+. 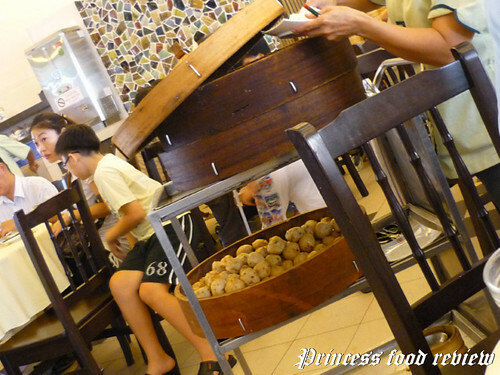 I can't understand why so many people love to eat in this shop since the food is only so so. 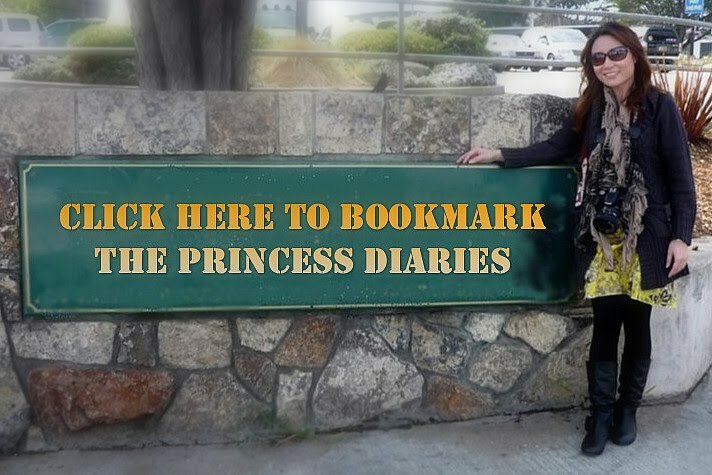 It's true that fame brings wealth and higher popularity. Especially if you are a tourist and you only have very limited time to taste the local food, you will certainly choose the popular one. 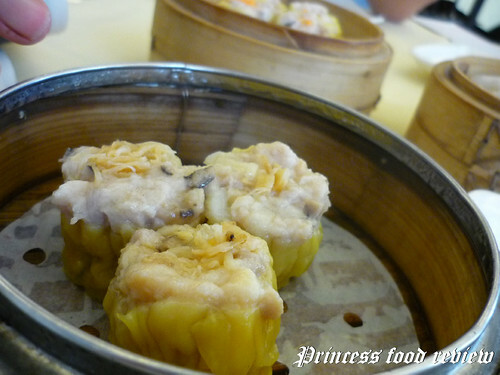 However, if you have chance or have not tried the other dim sum shops yet, I recommend you to go to the shop opposite called 名阁 (prounounced as Ming-kok). 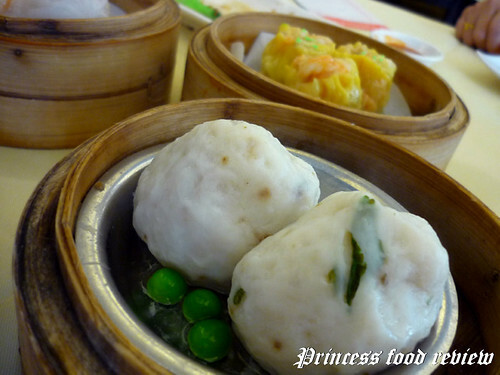 They serve even more delicious dim sum but pity that I did not bring my camera along when I go there everytime. Else I can also write a review on that. Maybe next round.